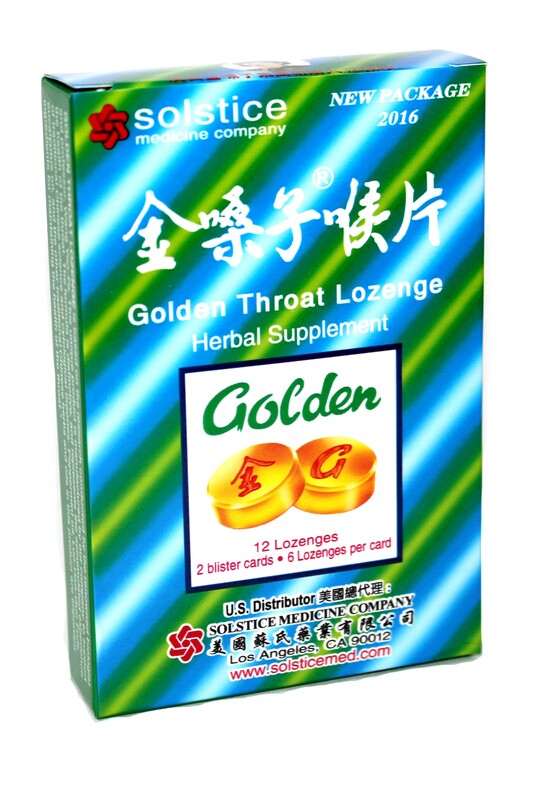 Golden Throat Lozenge Herbal Supplement. Throat cough drops. Ease throat and coughs. 12 Lozengos per box.